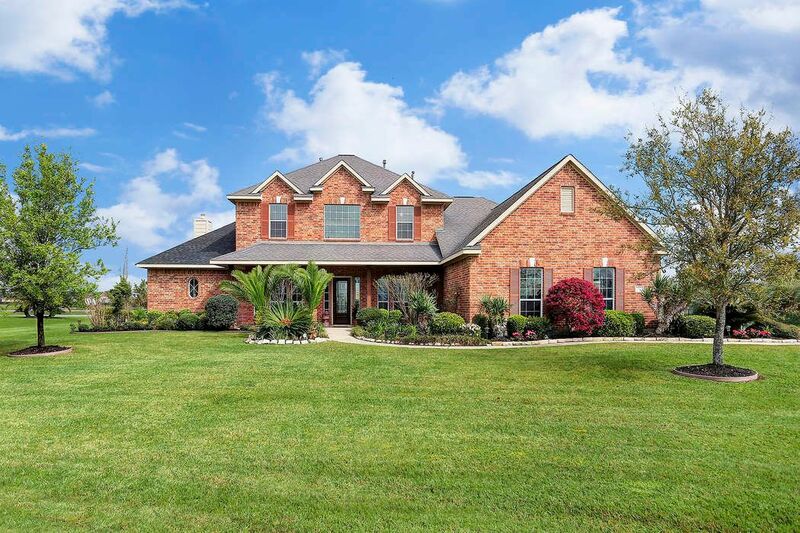 27202 Skiers Crossing Drive, Katy, TX 77493 | Martha Turner Sotheby's International Realty, Inc. Yes, you can feel like you are on vacation everyday and enjoy the best of both worlds? Living on a water ski lake without driving for hours to get there. 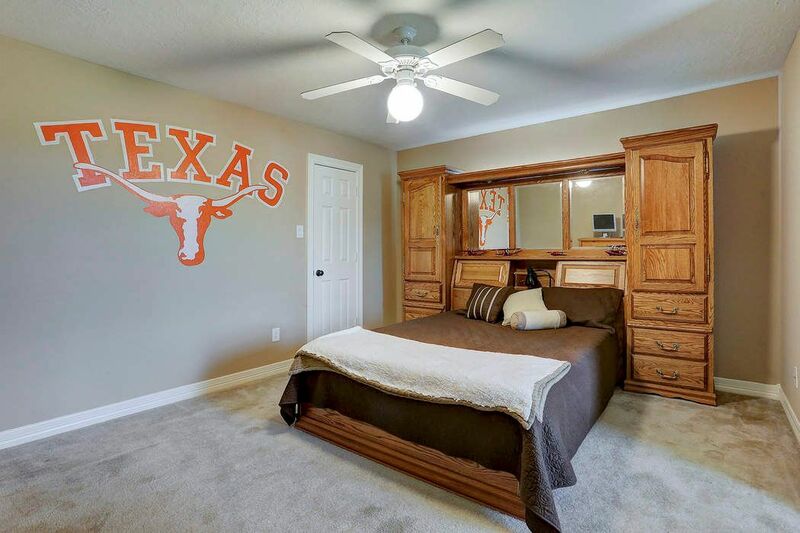 Zoned to award winning Katy ISD schools and close proximity to West Houston. An aerial shot of this spectacular property. 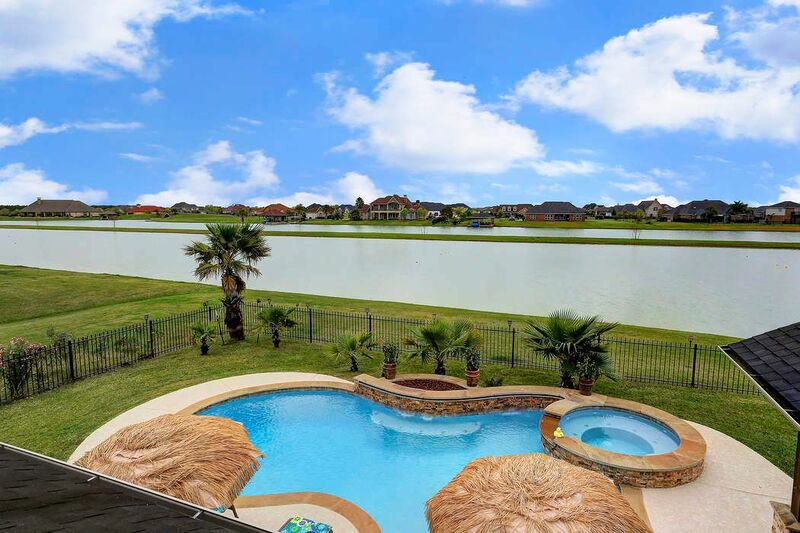 Lakes of Katy is a one of a kind gated neighborhood with a close proximity to Houston. 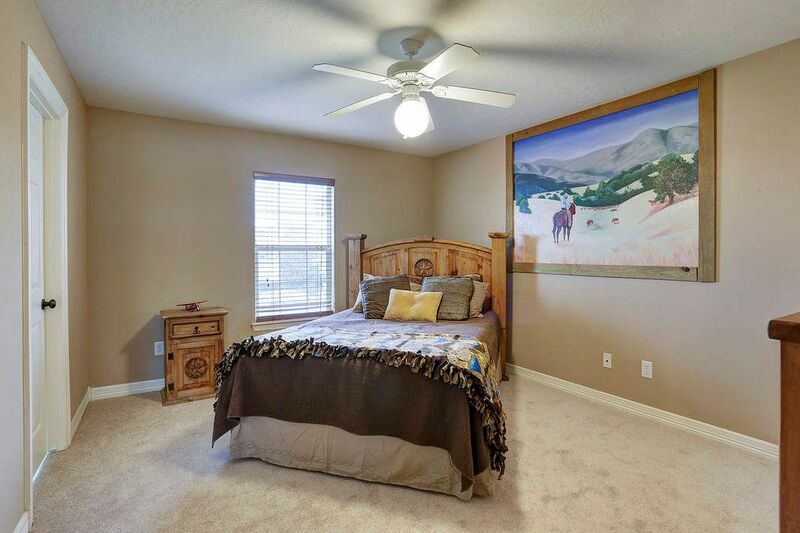 This home is situated on one of the best ski lots in the neighborhood.. 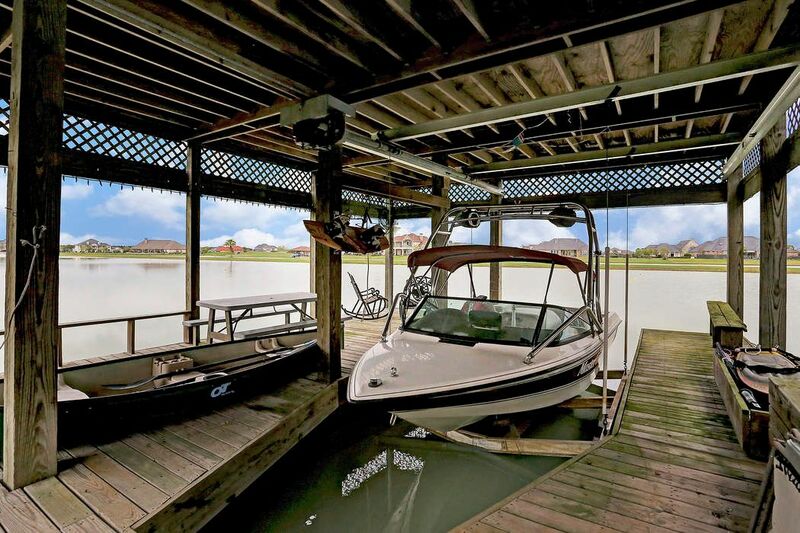 Yes you really have your very own boat dock that is just steps from your back door. 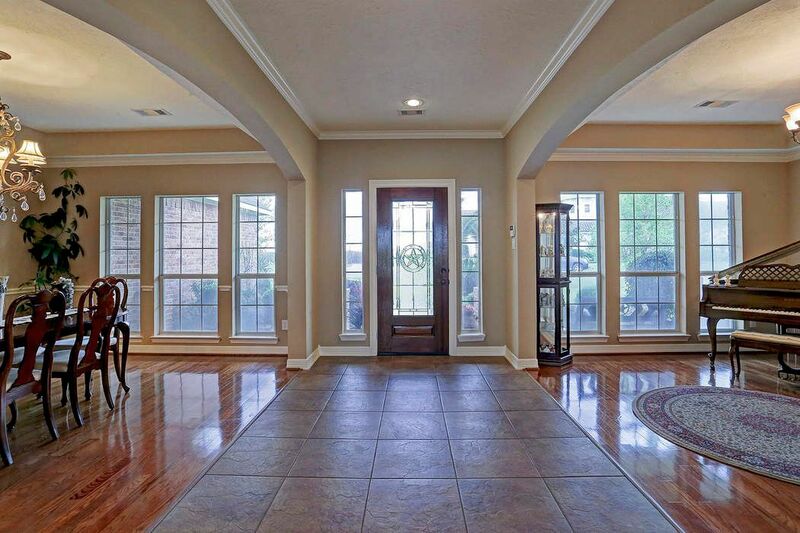 Beautiful entry with dining room on one side and formal living on the other. 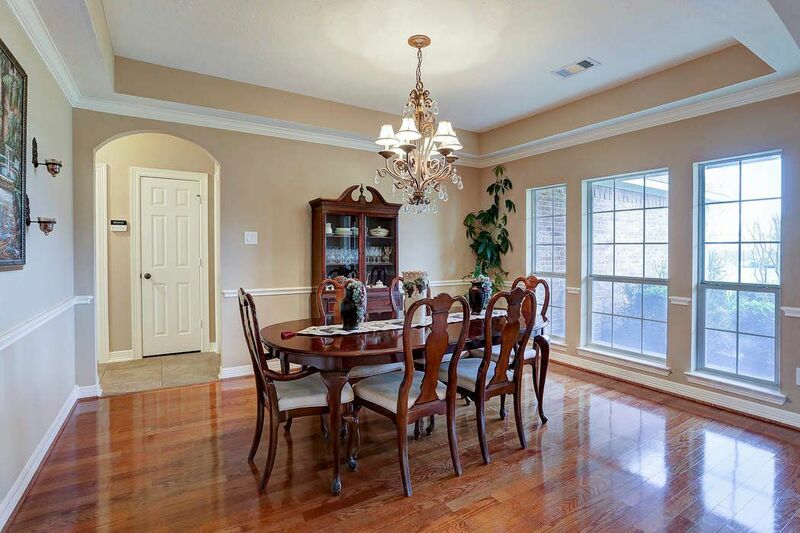 Large dinner parties are no problem in this dining room. 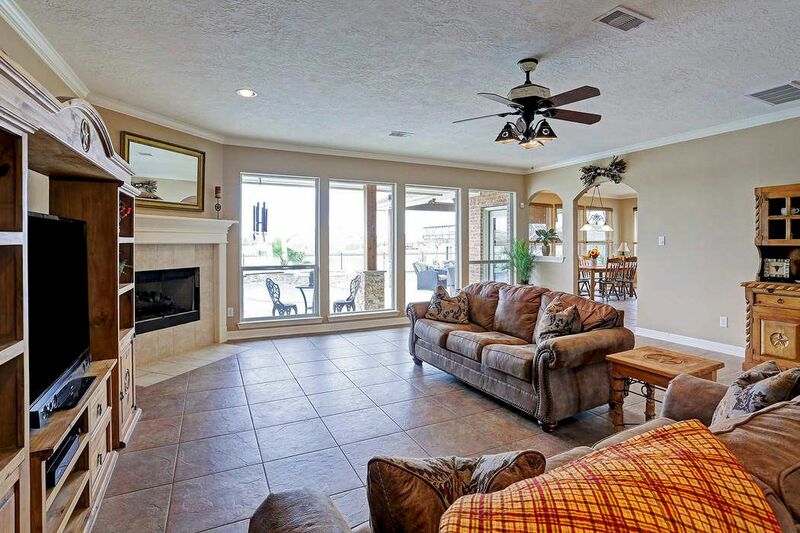 Spacious den overlooks pool and lake. 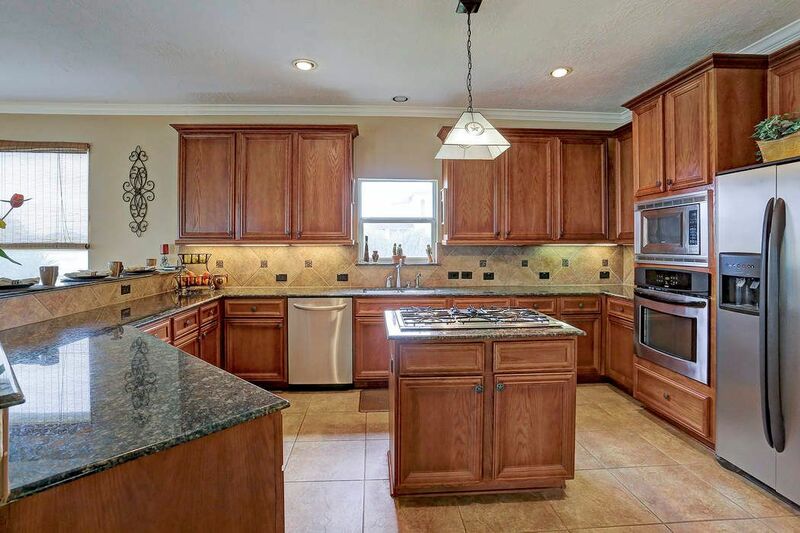 Kitchen is a chefs dream and has 3 pantries. Another view of the open kitchen space. 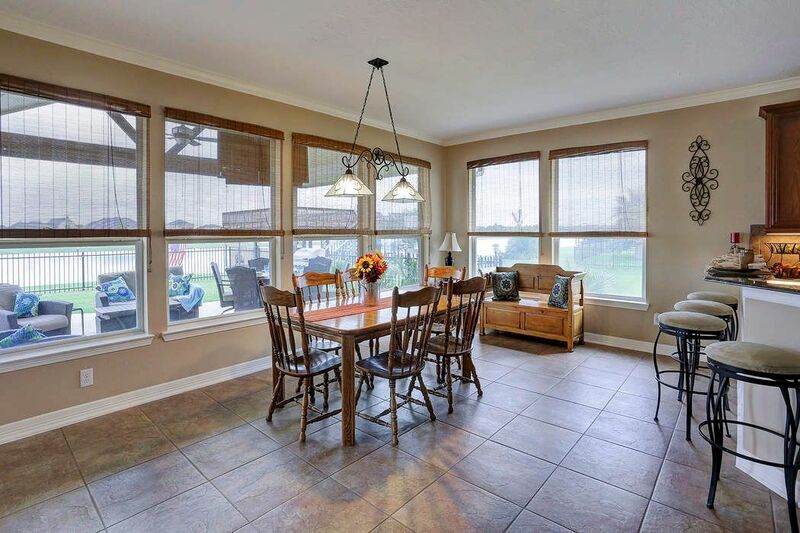 Breakfast room open up to the outdoor covered patio. 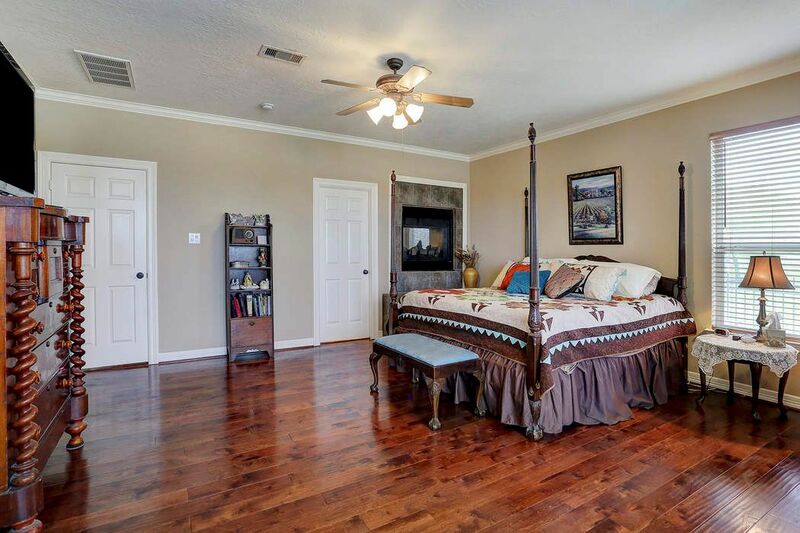 Lovely master bedroom complete with wood floors and fireplace. Sitting are of the master. 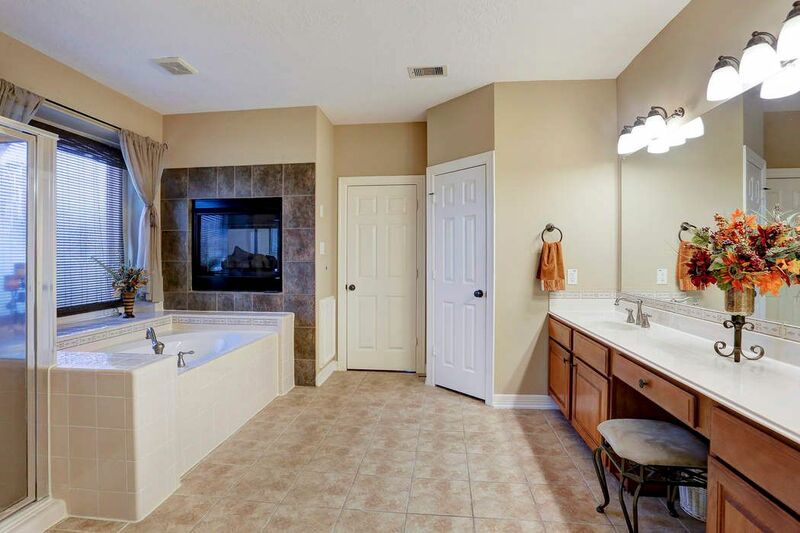 You will just love this roomy master bathroom with double sided fireplace. One of 3 secondary bedrooms upstairs. 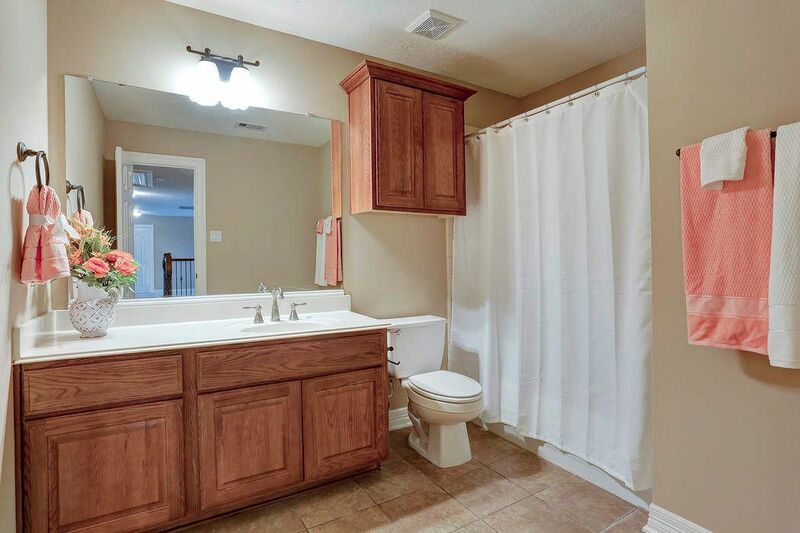 Bathroom off of the bedroom. 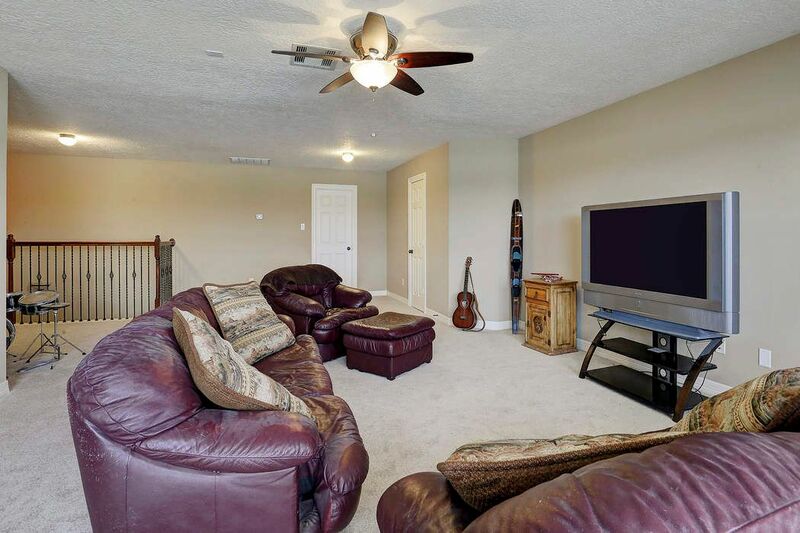 Gameroom has plenty of room to hang out. Deck above the boat dock is the perfect spot to watch the water skiers and the sunset. 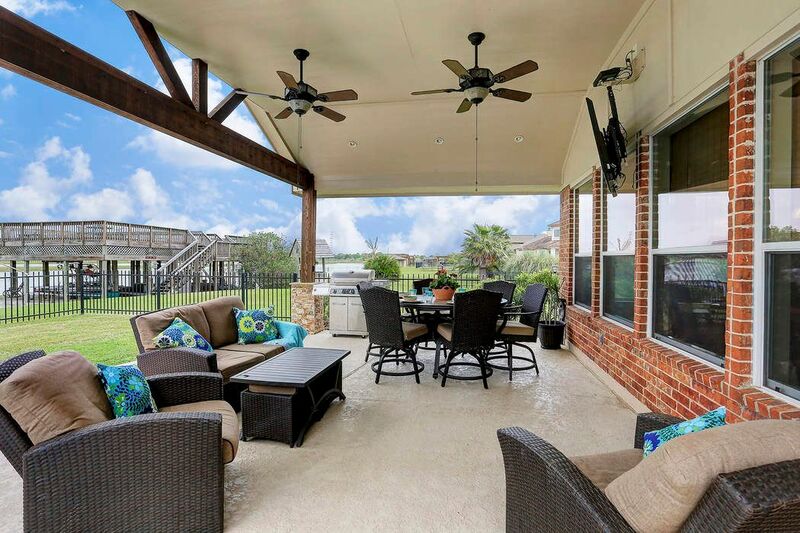 Beautiful covered patio overlooks pool, lake, boat dock and the spacious lot. 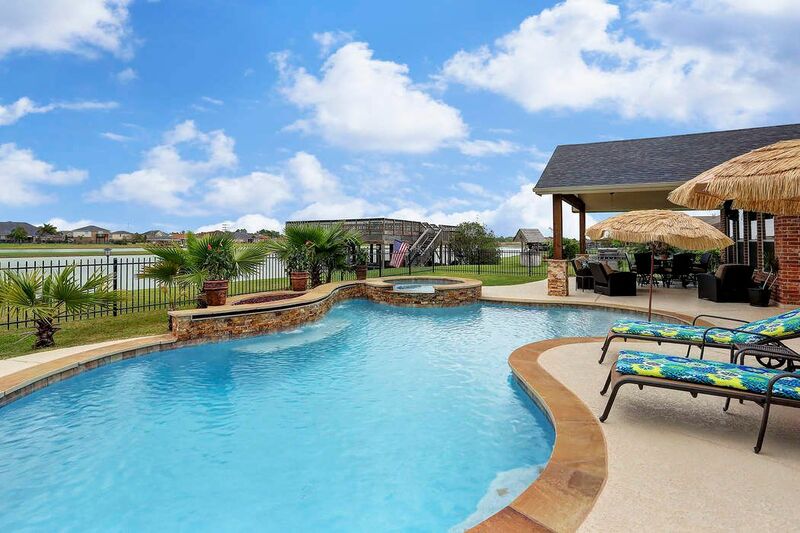 A pool is the most recent addition to this lovely home and features spa, shear decent water feature and more. Another view of the pool with tanning shelf overlooking the lake.. It is like you are on vacation every day. 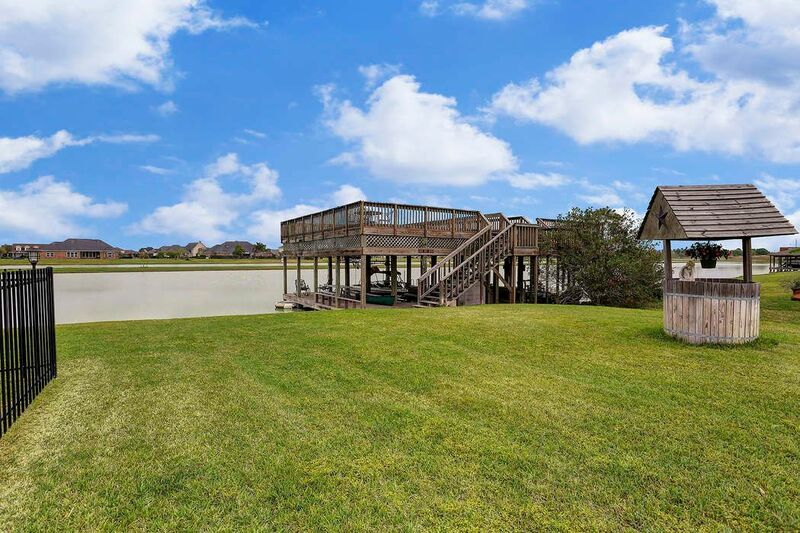 View of the spacious boat dock and other side of the property. Just imagine the fun you will have on the water. 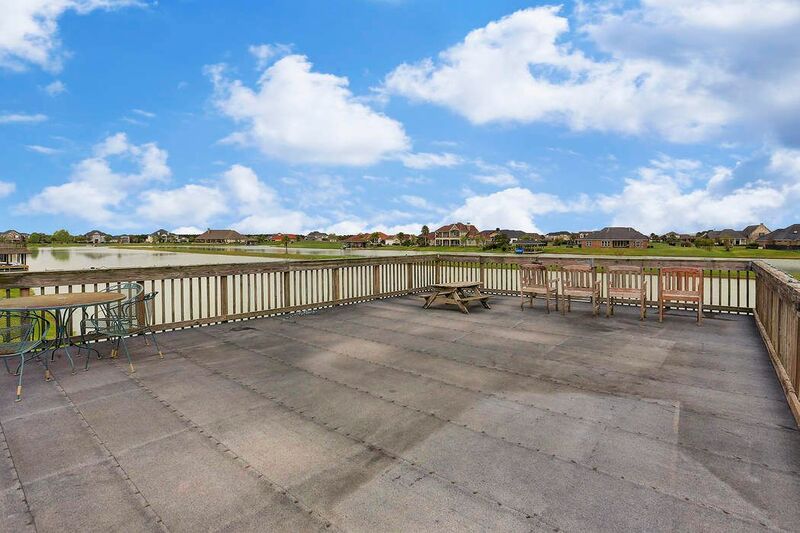 Water ski , wakeboard or tub whenever you want in your own back yard after work, after school and all weekend without long and without the drive. 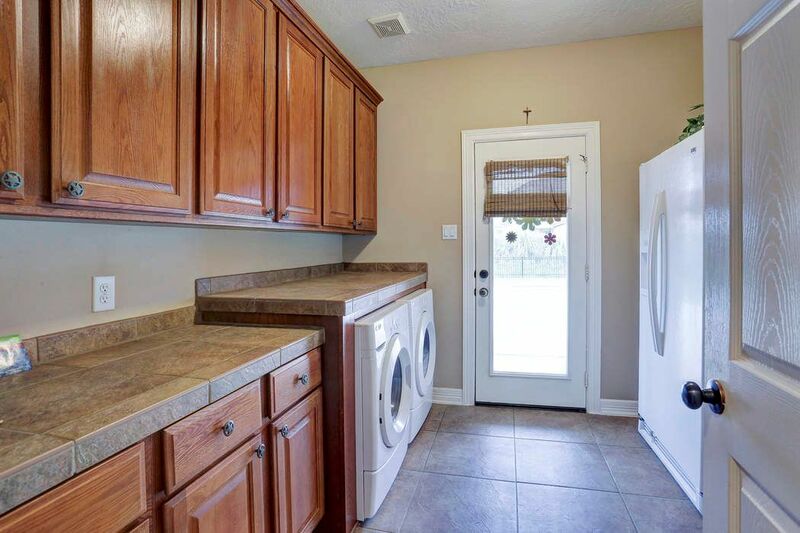 Need space for extra cars, basketball or just because. What a lovely lifestyle this home offers. 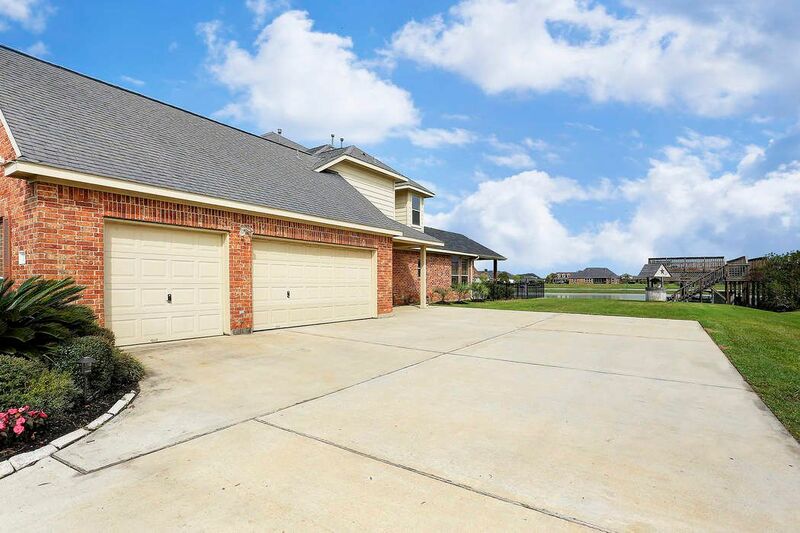 1.5 acres on the perfect spot in the Lakes of Katy subdivision. 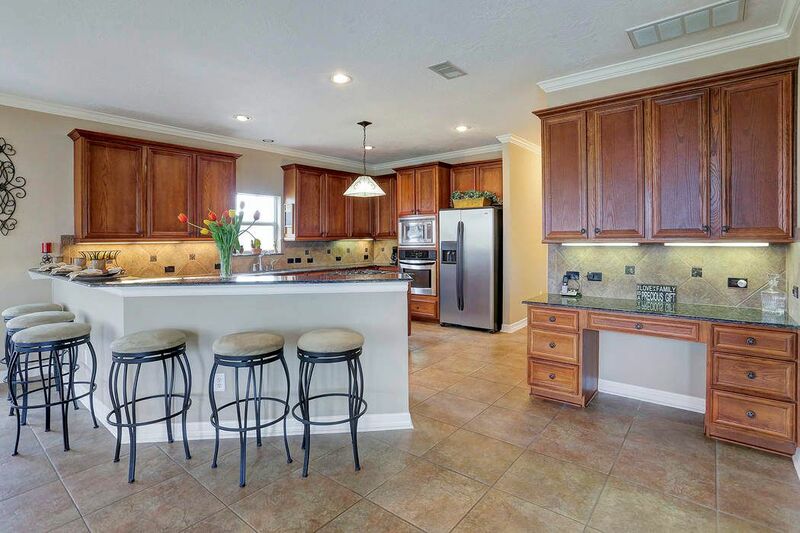 $749,000 4 Bedrooms3 Full / 2 Partial Baths4,455 sq. ft. 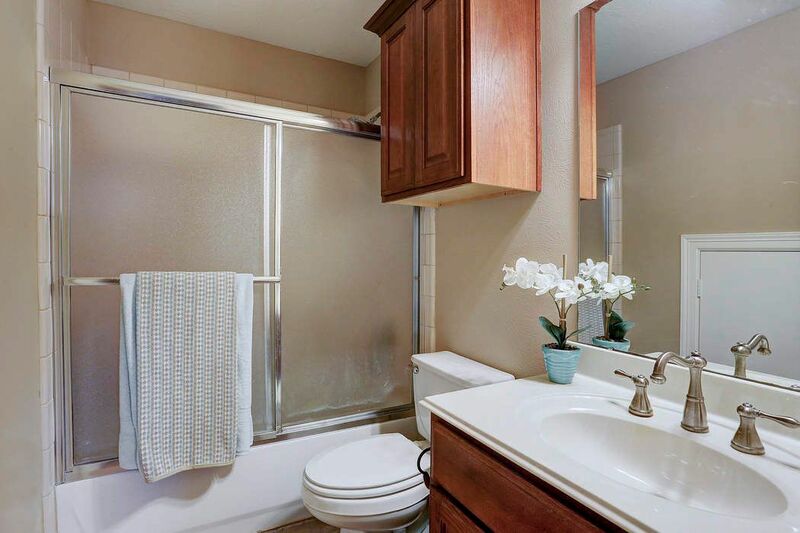 Looking to live and play without the hassle of two homes? 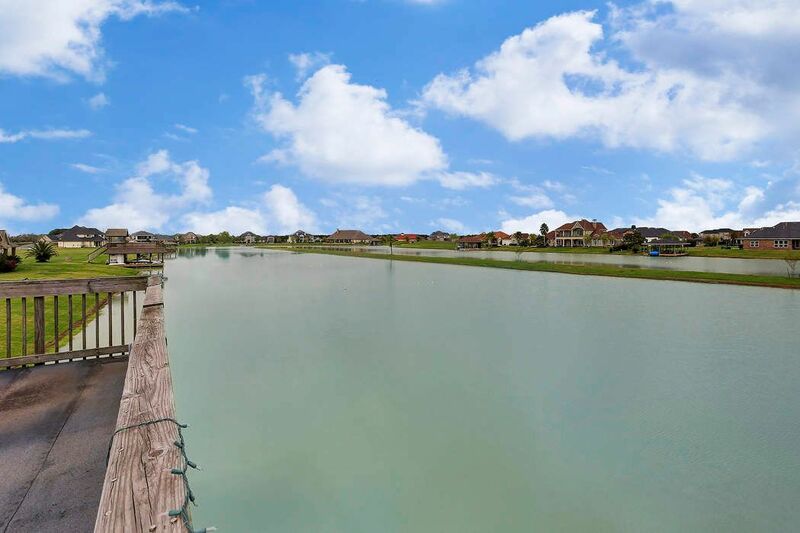 Lakes of Katy is for you. 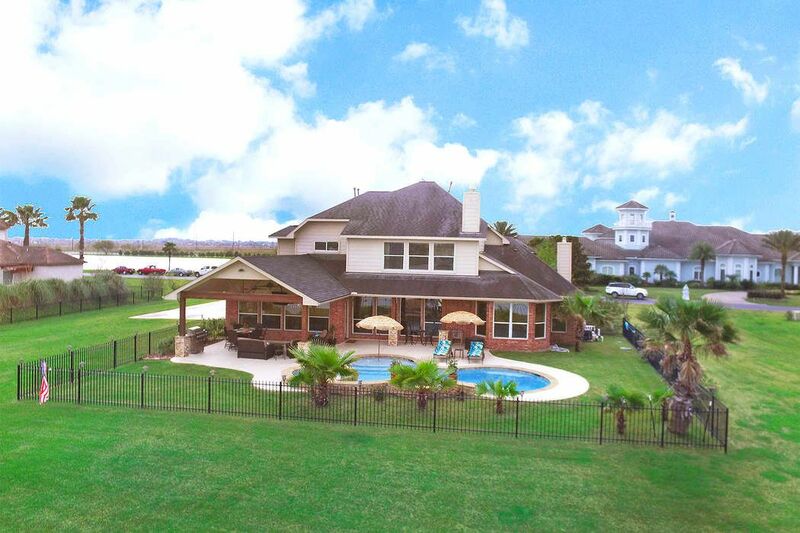 Perfectly situated on one of the best lots in this highly desirable gated community, this home features nearly two acres of waterfront property. This home has never flooded. 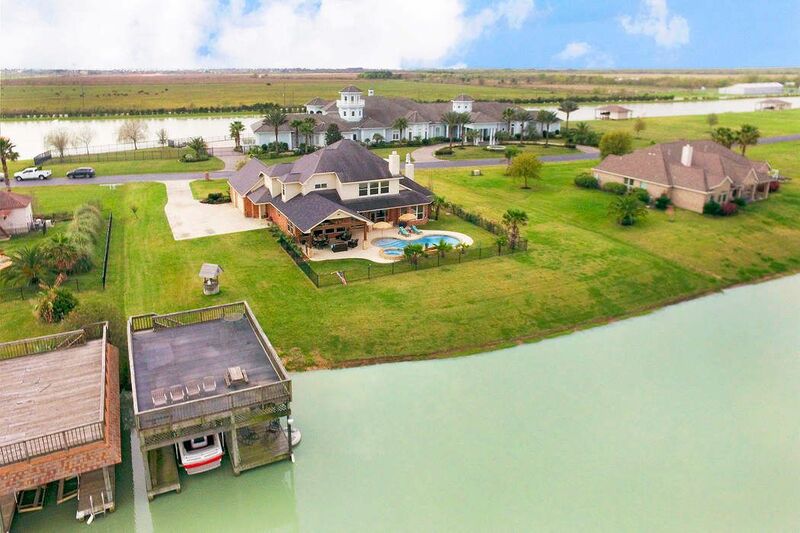 Imagine coming home to enjoy water skiing, wakeboarding, and tubing from your very own boat dock just steps from your back door. 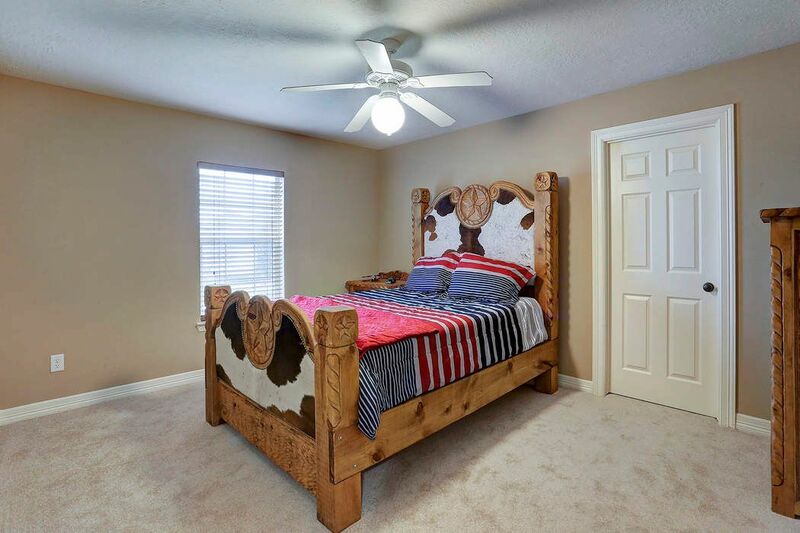 Interior features include granite counters, tile and wood flooring, separate outdoor bath, 4 bedrooms, 3 pantries, and large game room. 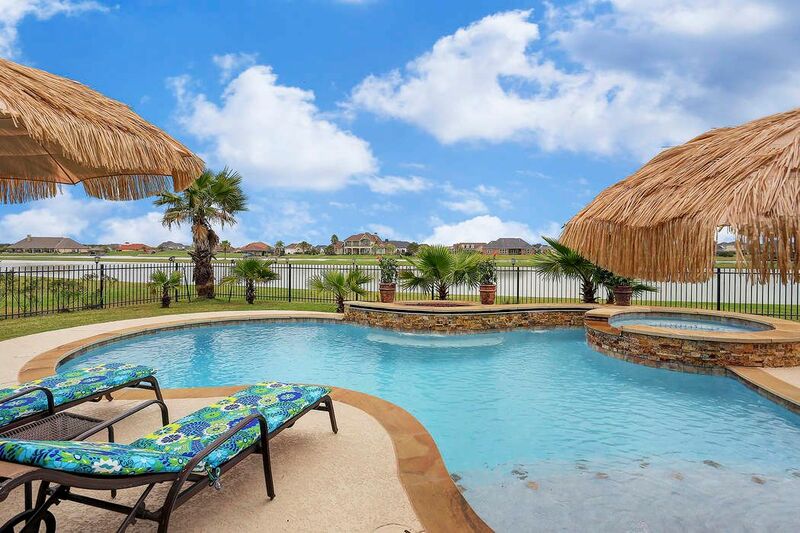 Step outside to the recent pool, spa, fire pit, covered patio and more. 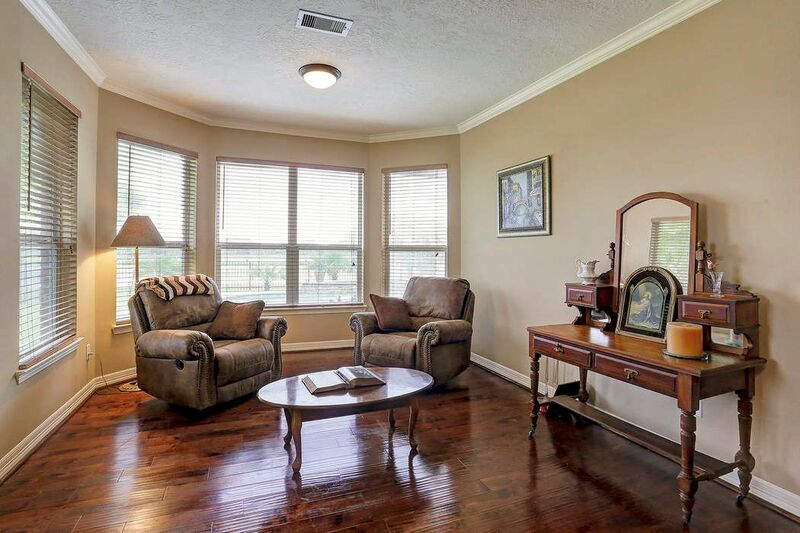 Situated with North and South exposure on 1.53 acres with no MUD taxes, just minutes to West Houston, shopping and dining at Katy Mills Mall and highly acclaimed KatyISD school district.